Publicis Groupe CEO Maurice Lévy said Wednesday that he expects authorities in China - the last major hurdle to his company combining with former rival Omnicom Group - to approve their merger in the coming weeks. Publicis Groupe CEO Maurice Levy said Wednesday that he expects authorities in China – the last major hurdle to his company combining with former rival Omnicom Group – to approve their merger in the coming weeks. He placed the timeline at three to five weeks, according to reports from the Financial Times Digital Media Conference in London. The European Commission, the antitrust body of the European Union, gave the merger the green light early this year, while US officials did the same in the fourth quarter of 2013. The two holding companies pushed back the expected completion date of the merger to mid-2014 last November. 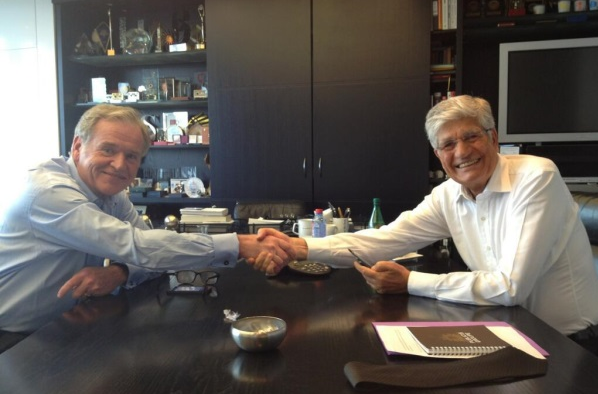 When Wren and Levy first announced the deal in Paris last July, they set the date for March of this year. When the two former rivals do merge, they will surpass WPP Group to become the largest marketing services holding company in the world. Wren and Levy will serve as co-CEOs for 30 months, at which point Wren will continue in the role on his own and Levy will become non-executive chairman. The impending merger has not stopped the holding companies from continuing to acquire firms along the way. In January, Publicis acquired Qorvis Communications and merged it into MSLGroup, rebranding the firm as Qorvis MSLGroup.